On March 11th, Nadine turned 7 years old! I have pictures but my printer broke and that is how I uploaded pictures from my camera. 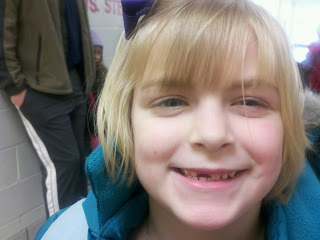 She did however lose her front tooth the other day. A friend at school pulled it out for her! That's what friends are for! We went to Science Central as a birthday trip in Indiana on Saturday! 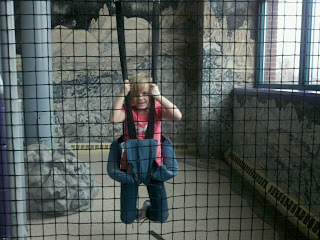 It really made us appreciate Imagination Station here in Toledo. Nadine got to do the Moon Walk! She liked it! I haven't been on here much lately. I have just not had time at all really! There are so many pictures that I would love to share. Jourdyn had a band concert the other day, but again I can't upload things from my camera. Rowan has started Taekwon-Do. We are going to try it out and see how he does. 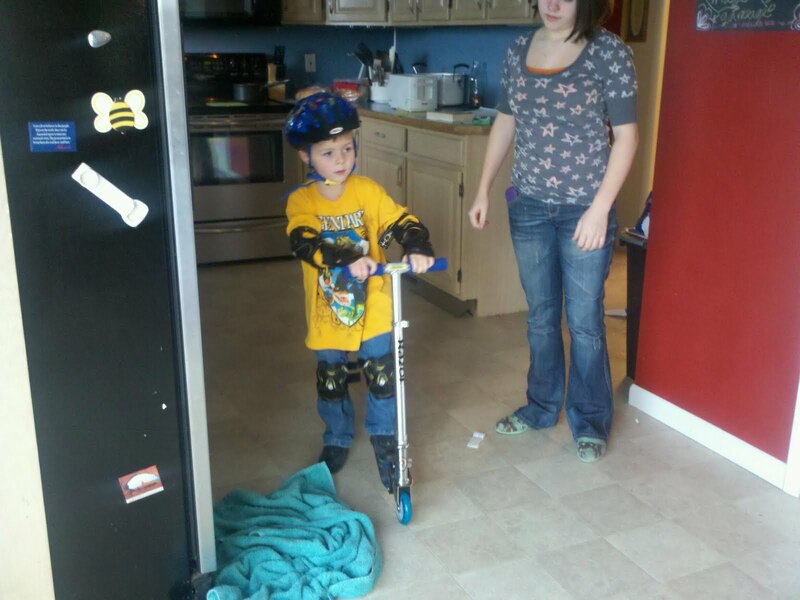 Jourdyn got a new pet...a sugar glider! Nadine will soon be starting Irish Dancing! Rob's been working and I've been working a lot too. I apologize for not being here more.